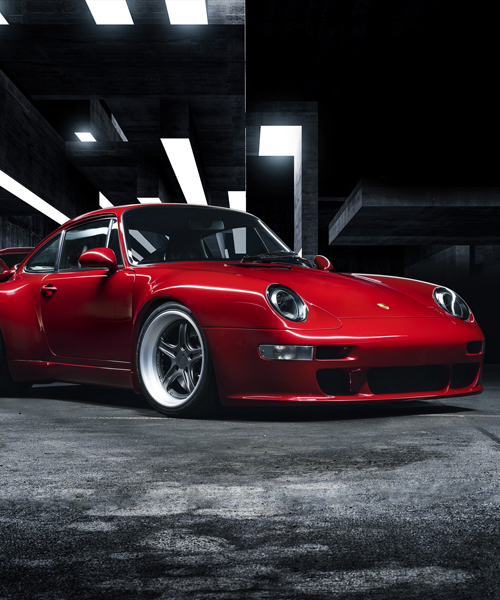 the gunther werks ‘400R’ is an example of a bespoke coach car builder using contemporary automotive engineering techniques and components to classic air-cooled porsche ‘911’s’. 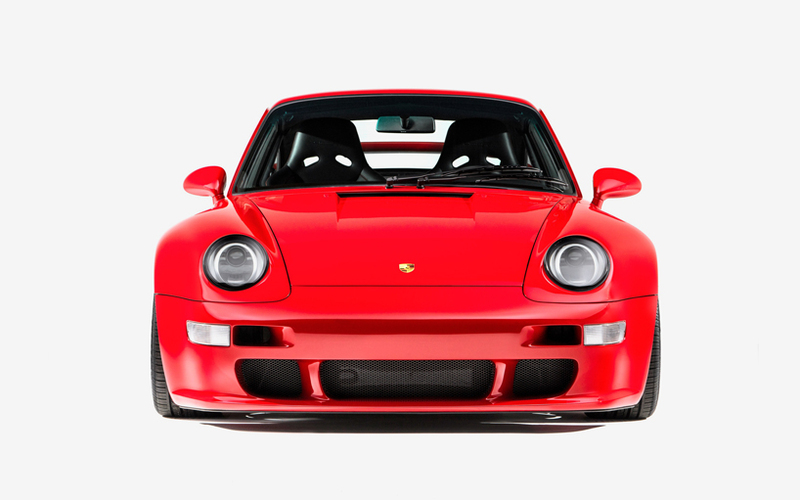 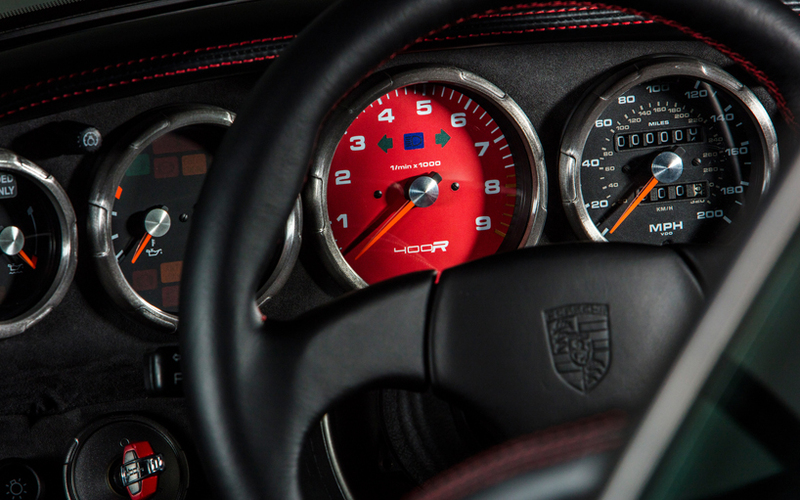 for this example, the ‘993’, it is the last air-cooled model of its kind, and the vehicle is what many consider to be the ‘last real’ porsche. 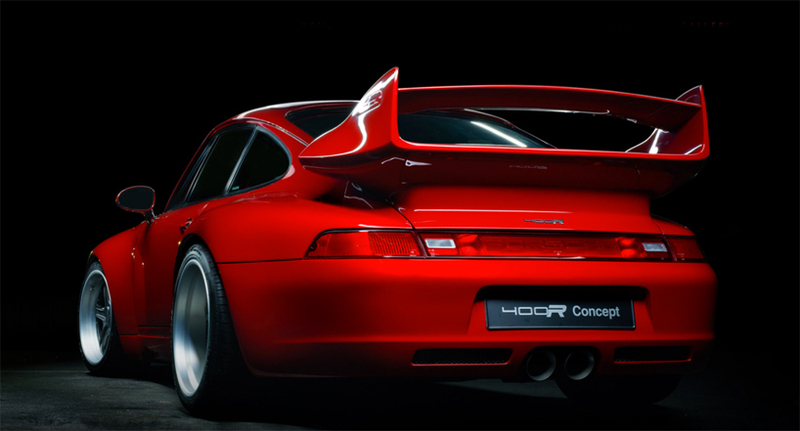 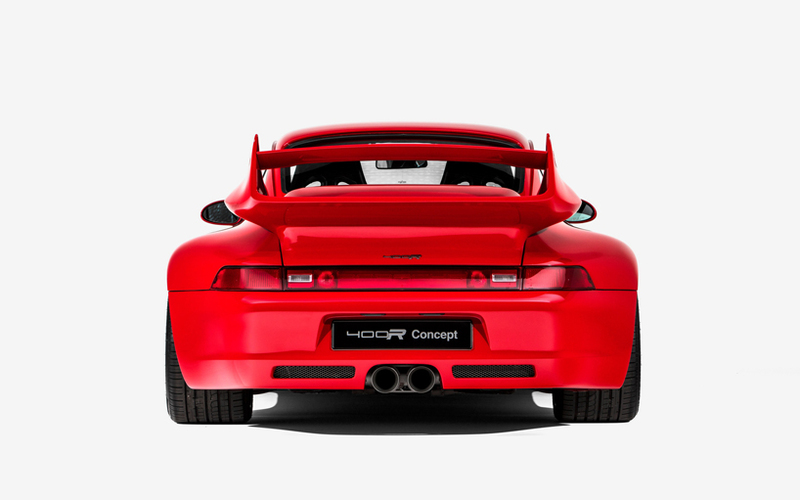 gunther werks’ bespoke modifications to this porsche ‘993’ include a bespoke wing, and special carbon fiber bodywork applied to the fenders, roof, and bumpers – the former of have been extended 30 mm to welcome larger tires. 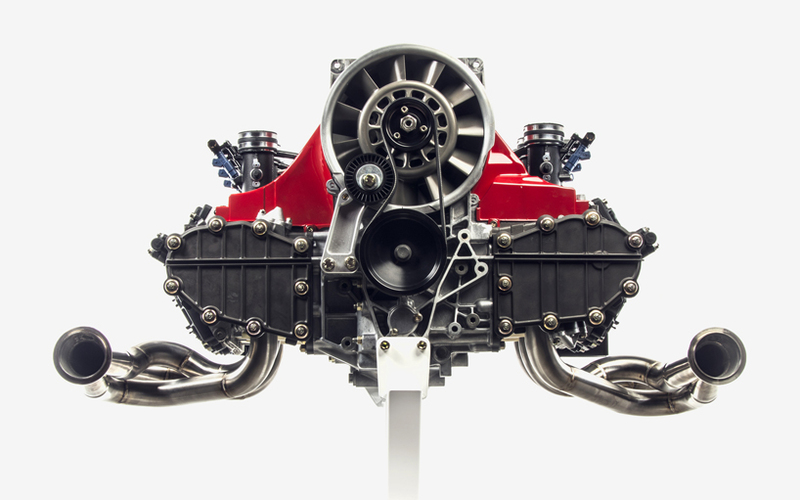 those were required for the 4.0 liter, naturally aspirated, flat-six engine built by rothsport racing that produces 400 ps and 330 pound-feet of torque, while singing up to a redline of 7800 rpm. 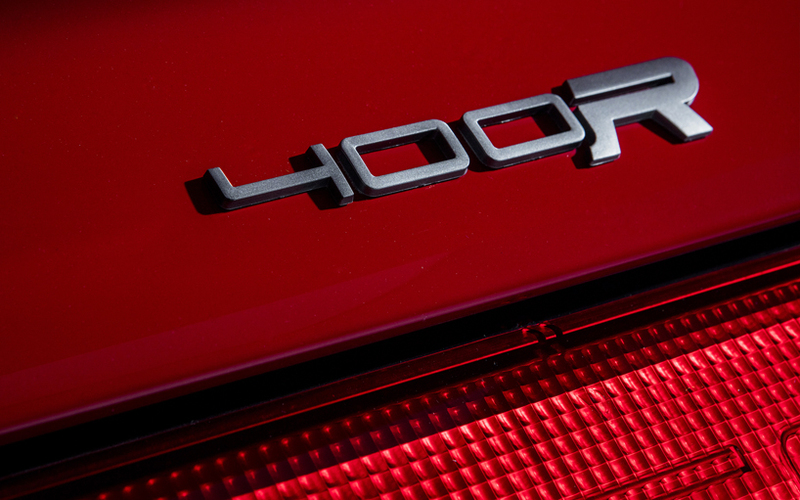 this is paired with a six-speed manual transmission custom-built by getrag, with gear ratios determined specifically for the ‘400R’. 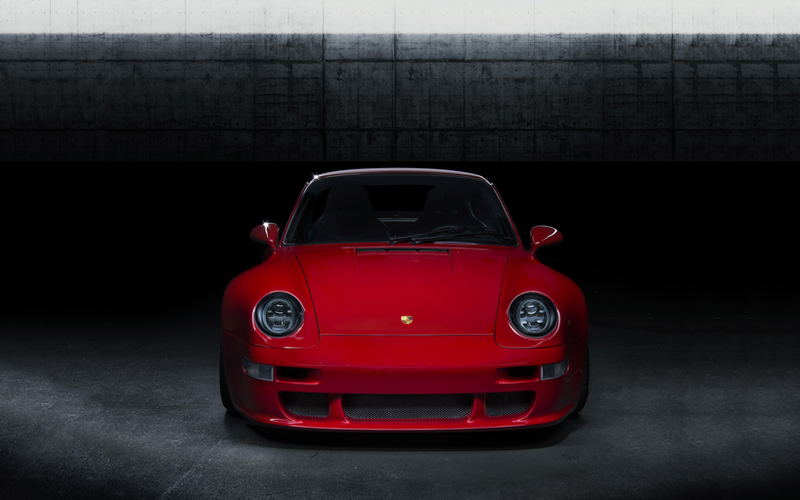 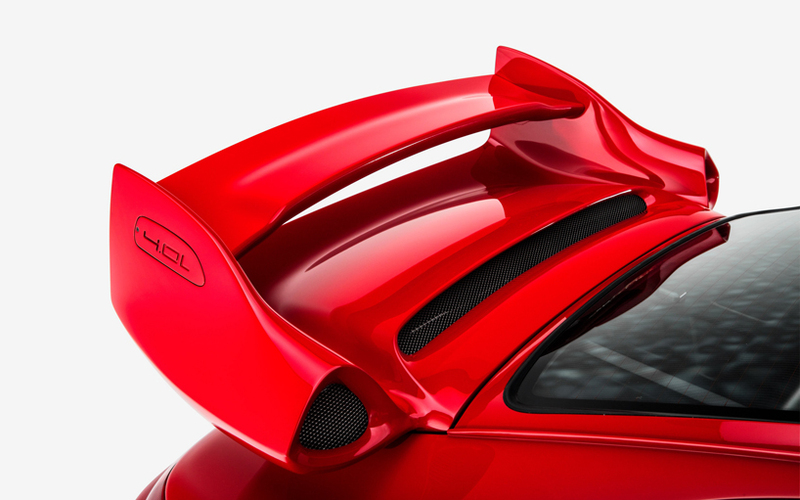 the sports car’s new coilover suspension features a hydraulic lift system, plus anti-roll bars at the front, and back. 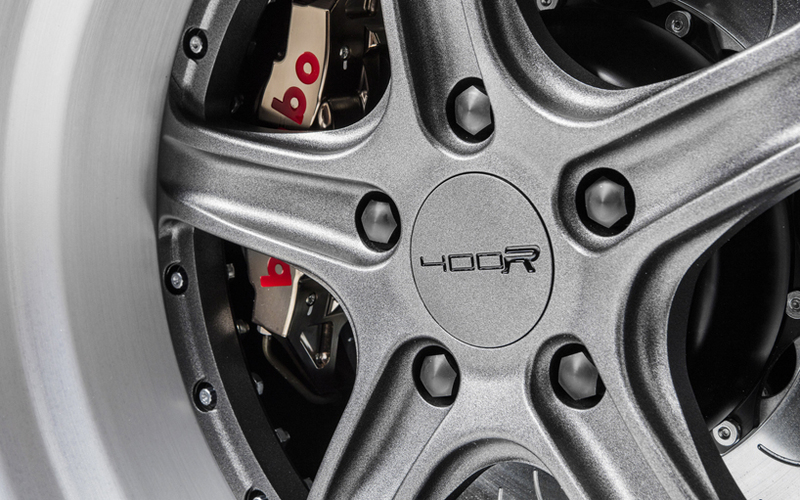 the 18-inch forged raw aluminum wheels cover two-piece drilled rotors from brembo, which are coupled with a set of new high-pressure brake lines. 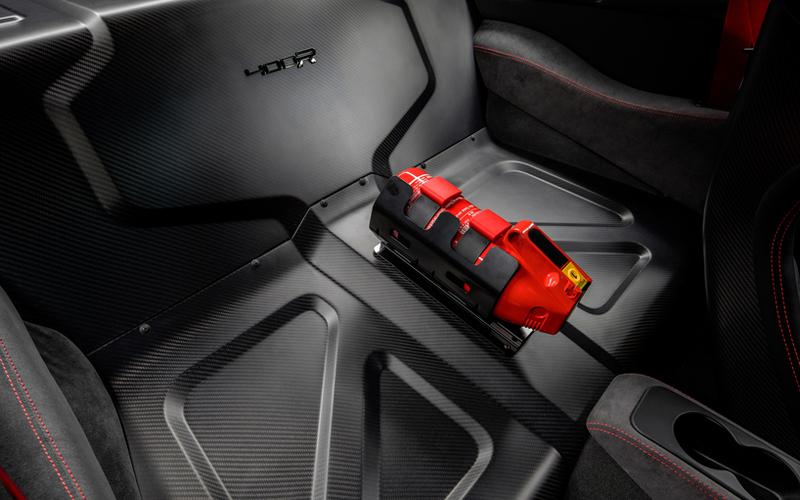 stepping inside the porsche’s interior also gets an upgrade, with highlights including bespoke gunther werks carbon fiber seats, plus a carbon fiber parcel shelf in place of the rear seats. 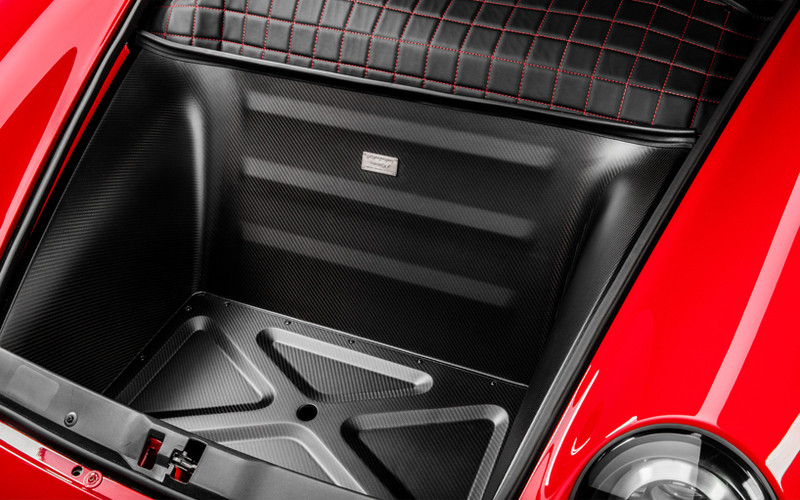 the ‘400R’s’ entire cabin’s colors and materials can be customized, while 18 exterior paint finishes can be chosen from.